Diabetes is a disease in which the body’s ability to produce or respond to the hormone insulin is impaired, resulting in abnormal metabolism of carbohydrates and elevated levels of glucose in the blood. 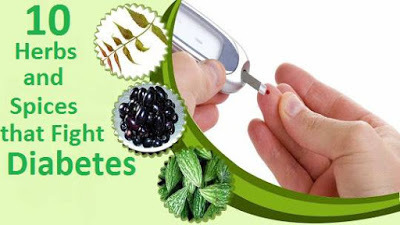 Diabetes is a disease that occurs when your blood glucose, also called blood sugar, is too high. Blood glucose is your main source of energy and comes from the food you eat. Insulin, a hormone made by the pancreas, helps glucose from food get into your cells to be used for energy. Sometimes your body doesn’t make enough—or any—insulin or doesn’t use insulin well. Glucose then stays in your blood and doesn’t reach your cells. What are the different forms or types of diabetes? As we know that the problem of Diabetes is a rising health concern in the world. For those who have been diagnosed with either type 1 or type 2 diabetes, maintaining normal blood sugar levels is both important and an ongoing struggle. But it is possible, so long as one keeps close tabs on their diet. If you’re a diabetic, you should consider adding fenugreek, a relatively unknown herb, to your diet as soon as possible. That’s because fenugreek—which can be acquired in flour form—can help improve glucose tolerance, lower blood sugar levels, and improve one’s cholesterol. Although fenugreek is often consumed in its flour form, it can also be acquired as seeds. If this is the case, soak the seeds in water and then drink the water on an empty stomach. Of course, consult a doctor beforehand. Ginger makes an excellent and flavorful addition to many popular dishes, like stir fry. 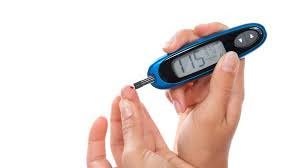 But it’s also helpful to diabetics looking to control their blood sugar levels. In fact, research has shown that daily consumption of just three grams of ginger (in capsule form) can help people with type 2 diabetes lower their cholesterol, maintain blood sugar levels, and keep a healthy body weight. If you’re not interested in taking ginger capsules, try adding two to three cups of ginger tea to your diet. Ginger also adds a unique flavor to many vegetable-heavy dishes. Turmeric, the bright yellow spice that can often be found in Indian food, offers an excellent way to lower blood sugar levels. It’s also a proven anti-inflammatory and antioxidant that’s good for the heart and can even assist in weight loss. As if that isn’t enough, studies have shown that turmeric can help patients suffering from kidney-related issues. Turmeric makes an excellent addition to just about any savoury dish but it can also be taken as a supplement. Just talk to your doctor beforehand. Where would the cooking world be without garlic? This incredibly flavourful herb makes an excellent addition to many dishes from all around the world, including spaghetti, stir fry, even hamburgers. But eating garlic is also an excellent way to lower blood sugar levels. That’s because garlic is a proven anti-diabetic that contains sulfur components capable of helping defend against oxidative damage. When consumed regularly, it can help people with diabetes maintain healthy blood sugar levels and even lower their cholesterol. Curry powder is, without a doubt, one of the most aromatic spices in the world. It makes an excellent addition to just about any sauce and is the foundation of much of the world’s diet. But it also offers an excellent way for diabetics to keep their blood sugar levels normal. That’s because curry powder contains hypoglycemic properties that assist in regulating blood glucose levels. It can also reduce the risk of oxidative stress and influence carbohydrate metabolism. Many of us have turned to the Aloe Vera plant to soothe a recent skin burn. But it can also help lower blood sugar levels at a remarkable rate. In fact, studies have shown Aloe Vera can actually remove excess sugar from the blood—making it a must-have tool for diabetics. 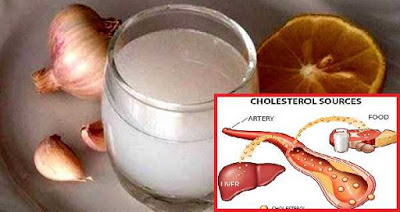 Diabetics can get their daily fill of Aloe Vera by drinking a glass of its juice. Aloe Vera can also be consumed in the form of a once-a-day capsule. Powerful tasting and highly aromatic cloves make an excellent addition to many holiday dishes. But this herb is also known for its antioxidant and anti-inflammatory properties that can help diabetics lower their blood sugar levels and stay healthy. In fact, studies have shown that consuming just one to three grams of cloves each day can help both manage glucose and cholesterol levels. To get cloves in your diet, add the herb to your cooking or consider taking them in supplement form. Ginseng has been used for medicinal purposes for centuries. One reason: it’s known to help increase insulin sensitivity and reduce the complications associated with diabetes. It can even assist in the metabolizing of carbohydrates, a common issue for people with type 2 diabetes. To add ginseng to your diet, consider taking it in capsule form or drinking one to two cups of ginseng tea each day. Of course, consult your doctor before adding ginseng to your diet. Few great pasta dishes omit oregano, a famous herb that packs a ton of flavor. But it’s also a helpful tool for diabetics looking to lower their blood sugar levels and stay healthy. That’s because studies have shown that oregano—along with rosemary—can help inhibit the enzyme dipeptidyl peptidase IV that promotes the secretion of insulin. To add oregano to your diet (without adding it to your meals), drink oregano oil in a glass of water or take an oregano pill.